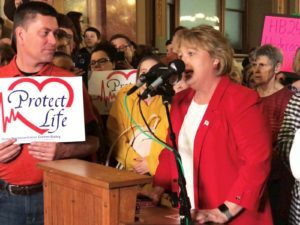 SPRINGFIELD — Legislators, advocates and hundreds of Illinoisans crowded the rotunda of the Capitol on Wednesday to condemn a package of reproductive health measures that would revise abortion law. Knorr’s group was one of the organizers of the rally. The others were the Pro-Life Action League and the Illinois Family Institute. Parents should not be “kept in the dark” about medical decisions their children are making, or procedures they are getting, said Eric Scheidler, executive director of the Action League. Democrats voted the Senate version of the bill out of committee Tuesday. It is now before the full chamber. The House version of the bill appears to be stalled. The group more fervently protests the Reproductive Health Act, a bill that, among other things, would create reproductive health care as a fundamental right in Illinois; require private health insurance companies that cover pregnancy-related benefits to also cover abortion procedures; and allow physician-assistants to perform abortions. The bill, she argued, has nothing to do with reproductive health. Bryant asked everyone in attendance to fill out an electronic witness slip on the Illinois General Assembly’s website in opposition to both pieces of legislation. She said she would request each of the thousands of names be read on the floor of the House. 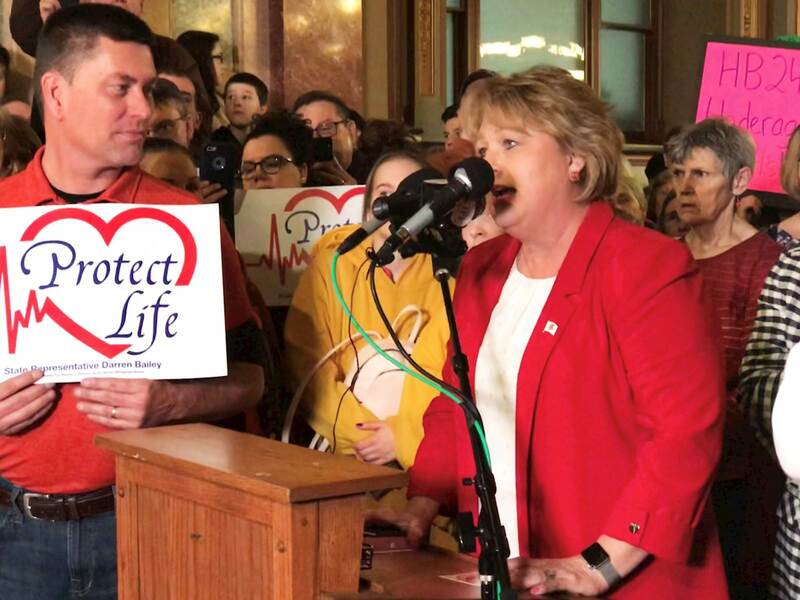 The Secretary of State’s office estimates about 4,000 people were inside the Statehouse during the anti-abortion demonstration, both attending the event and an unrelated lobbying effort. According to a news release, people were brought to the Capitol by bus from across the state. “Friends, I believe there’s a sleeping giant that’s been awoken and it’s called the Church of Illinois,” Republican Rep. Darren Bailey, from Xenia, said to a cheering crowd.